Living in one location for any length of time, most people accumulate far too many belongings. Perhaps you bought something to use it once and it’s still sitting in your wardrobe taking up valuable space. Or maybe you purchased something with the intention of using it a lot more often than you actually did. Often times, things become worn or broken from use and we intend to fix them up but never get around to it. Whatever the reasons might be, all of this ‘stuff’ gathers in our homes creating unnecessary clutter. The mere thought of decluttering years worth of unused and unwanted items is nobody’s idea of a good time. However, one of the best times to carry out this task is when you are moving home. You will naturally go through all of your things as you pack up your boxes and rather than dragging these things to your new house, why not take this chance to do a purge. 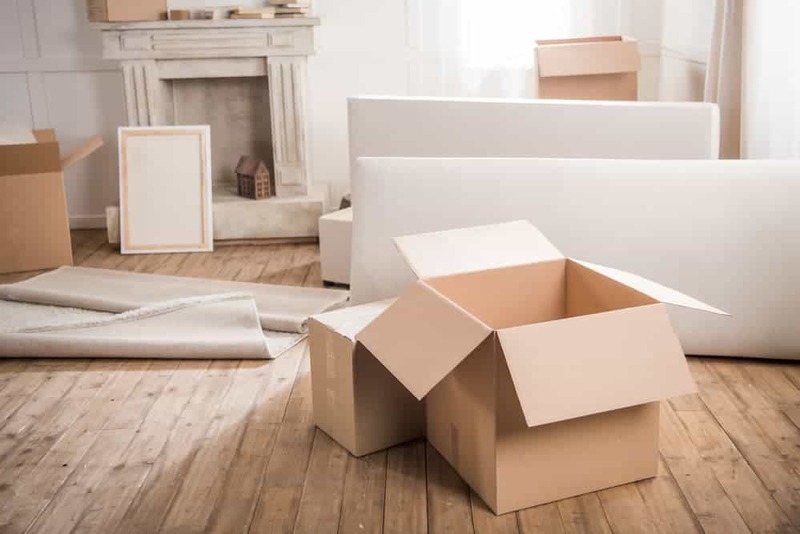 You will make the move easier as you will have less to transport with Kent Removals & Storage, or whichever company you are moving with, and you will save money in the process as most moving companies charge by volume. 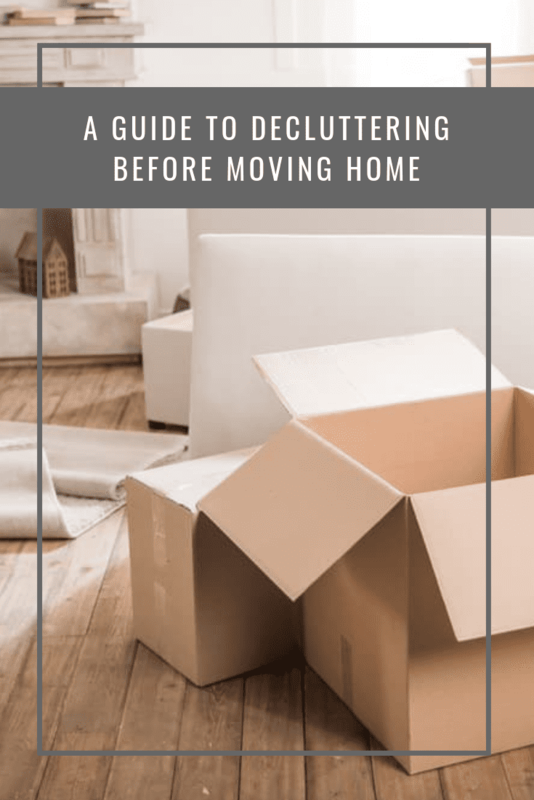 Keep reading to learn how you can declutter before you move to your new home and make moving day easier for all involved. When you’re faced with a pile of stuff to go through, you need to have some rules in place to make the process easier. The ‘one year rule’ is a great place to start. Any items that you have not used in the last year needs to go. Sentimental items and family heirlooms should be the only exceptions. If anything else you own has not been used in the last twelve months, then it is not necessary. For many people, clutter begins when you update appliances, furniture and other items and don’t get rid of the original. You don’t need two toasters or that extra DVD player that has been sitting in the cupboard gathering dust for the number of years. Take this opportunity to simplify your life and keep just one of everything. You can even sell some of your duplicate belongings online, hold a garage sale or donate them to charity to lighten your load. It’s incredible the amount of clothes and shoes we accumulate over time. A lot of the time, the clothes that have been occupying valuable space in your wardrobe are out of style, are worn or just don’t fit you right anymore. Start with the ‘one year rule’ and remove any clothing from your wardrobe that you haven’t worn in the last year and move on from there. Charitable organisations will take most of your unwanted clothing or alternatively, you can bring them to a clothing or textile recycling centre near you. Bathrooms and kitchens are prime locations where unnecessary clutter builds up over time. You probably don’t need three sets of pots, five sets of cutlery and kitchenware. It’s important to go through your kitchen cabinets too and check the use-by dates on sauces, oils and other foodstuffs. That jar of curry sauce you were going to cook with five years ago has probably gone off by now and this is a great opportunity to clear some much-needed space. The same logic should be applied to your bathroom. Get rid of any almost empty bottles of shampoos, face creams, toothpaste and other toiletries. Be ruthless, keep the essentials and throw the rest away. 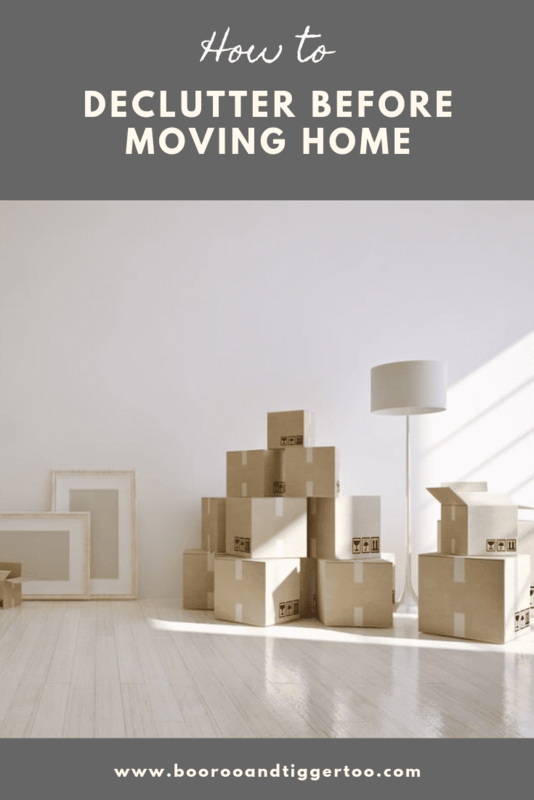 Moving homes can be complicated enough without having to move all the additional and unnecessary clutter you have accumulated over the last few years. Remember, to get rid of anything that you don’t need, that you haven’t used in the last year and pay particular attention to your kitchen, bathroom and wardrobe. 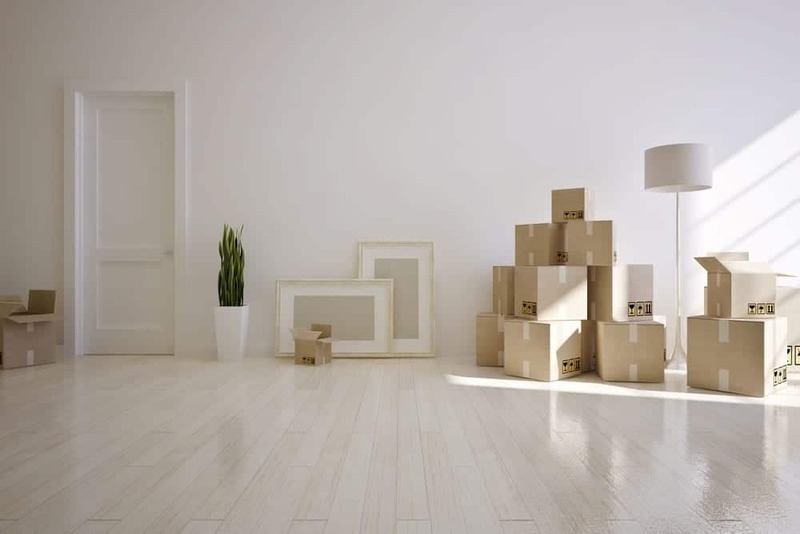 With less stuff to move, you will make your move easier, cheaper and less stressful for you and your family, especially when it comes to unpacking your things at your new home.